The speeches at the conference were published online in the past few days via China in Perspective. An anonymous article on ‘China in Perspective’ gives a detailed account of the discussions in the seminar.. There were about 19 participants in the seminar, including: Xu Youyu (徐友渔), Mo Zhixu (莫之许)、Cui Weiping (崔卫平), Hao Jian (郝建), Xu Xiao (徐晓), Zhou Duo (周舵), Liang Xiaoyan (梁晓燕), Qin Hui (秦晖), Guo Yuhua (郭于华), Li Hai (李海), Liu Zili (刘自立), Qian Liqun (钱理群), Teng Biao (滕彪), Tian Xiaoqing (田晓青), Wang Junxiu (王俊秀), Xu Yinong (许医农), 、Yan Yusheng (殷玉生), Zhang Boshu (张博树) and Zhang Yaojie (张耀杰). The seminar began with 3 minutes silence showing the participants’ respect for the Tiananmen mothers and the victims of the June 4th incident. Firstly it is a call from a teacher's conscience. Twenty years ago many students gave up their lives for democracy in China. We as their teachers, we had not been able to protect them and we have lived with that guilt. Beida (Peking U) has a tradition of defending their students and 90 years ago during the May 4 movement whenever students were arrested by the authorities, the University principal Cai Yuanpei stood up to defend them. We are in debt to our students who sacrificed their lives and for all these years they have suffered an injustice in the history of the event. If we don't speak out now, we don't deserve the title of their teachers. Secondly, it is a call for justice from intellectual's conscience. Even though politicians may try to justify the events of June 4, intellectuals should insist that a true record of the incident be entered into the history for academic research and discussion. There should be a merging between Government control and the people’s aspirations in the China reform. The political system should encourage people's participation based on the core values of democracy including the five freedoms written into our constitution. Any reform that vests total control in the party and the state merely serves the interest of one party rule and will result in a political, economic, social and moral crisis. This is the most significant inspiration to be drawn from the 1989 democracy movement and the greatest lesson we have learned from the repression. Zhou Duo presented his personal account of the happenings from mid April to June 4, 1989. 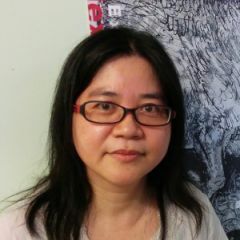 Zhou was a reporter who helped organize media workers rally in support of the student movement and tried to persuade the students to leave Tiananmen before the PLA marched into the square. On the 20th anniversary of June 4, I would like to publicize this letter and raise these questions to all my friends: What are the negative impacts we have bought on our society because of our silence in the past 20 years? What harm has such silence done to our national spirit and morality? How has it affected our work and our lives? Can we still keep such a silence? This secrecy is poisoning the environment and atmosphere around us and affecting our life and spirit. When we choose to moderate our comments to avoid trouble we are actually conspiring in covering up the truth, aligning with the Government and participating in their power game. Even if we did not directly cause the bloody crime 20 years ago, the fact that we have been silent for all these years for whatever reason makes us complicit in the incident. A number of presenters such as Xu Yaoyu and Yan Yusheng pointed out that the June 4 incident challenges the legitimacy and ethical grounds of the State’s claim on power. The Party-State has become an interest bloc which must be constantly challenged by the grassroots in the form of mass incidents. Xu Yaoyuexplained how the June 4 incident has shattered people's hopes for the CCP and the authorities. People anticipated repression, but they had not anticipated massacre! People criticized and protested against the government but had never treated the government as enemy. We can use a familial metaphor to describe the relationship. People looked on the ruling elite as stubborn, dictatorial parent, but never imagined that they would kill their offspring. When the image of a family disintegrated and the government treated the people as an enemy, people would then do the same. Zhang Boshu criticized the antagonistic rationale and persecution paranoia of the oppressor and ruling oligarchy who see all criticism as ‘conspiracy’ and a threat. On the other side of the coin, Hao Jian pointed out that people also tend to overestimate and exaggerate the irrational aspect of the oppressors. Antagonistic rationality is an aspect of any authoritarian political culture. The repression of the 1989 patriotic movement by the CCP was the result of just such an antagonistic rationality. It regards all criticism against authority as ‘conspiracy’ and takes all comments, questions and interpretations of the State as denial of authority and denunciation with bad intent. This kind of rationale adopted by Deng Xiaoping and other CCP leaders is the beginning of all the wrongs in our history. Xu noted that after June 4, people turned to the constitution for the citizen rights movement. In order to gradually transform the political system, Xu stressed the need for upholding universal values and peaceful means. Wang Junxui and Tieng Biao highlighted that since 2003 the citizen rights movement has opened a new direction in the democracy movement and Liang Xiaoyin also saw the emergence of volunteer culture in recent years as a positive development of social awareness. Mo Zhixu pointed out that the Internet has been effective in fighting the collective apathy and he believed that more people will join the movement for freedom and democracy. The fact that they are able to meet openly and publish their statements, is a welcome development.